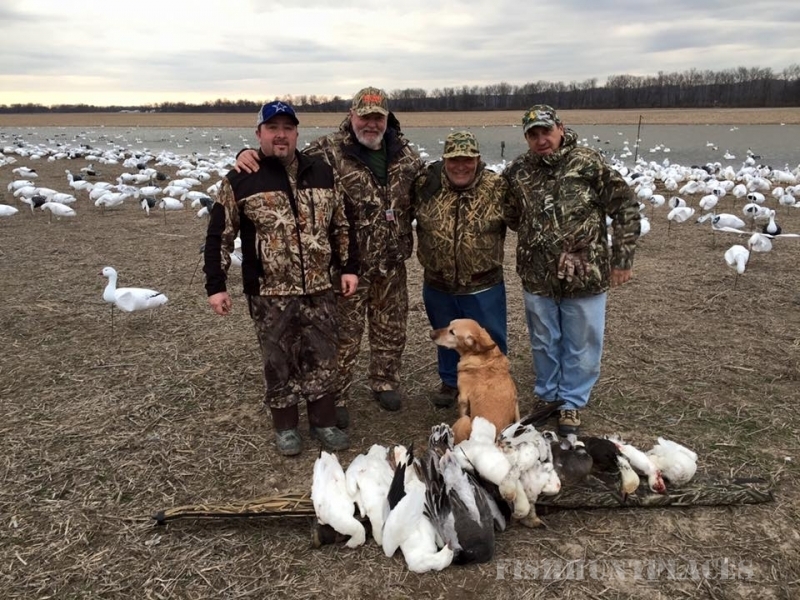 Our spring snow goose hunts take place in Southern Illinois. 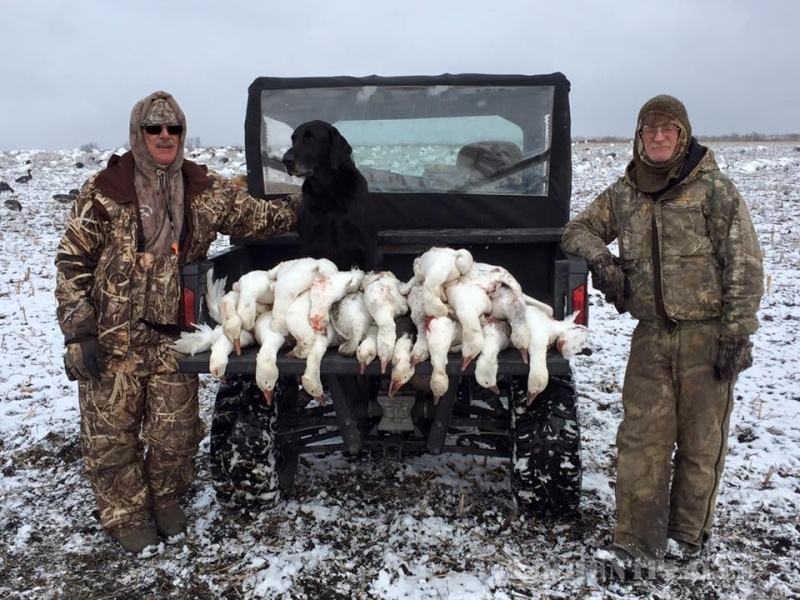 We are surrounded by five refuges and two major rivers providing some of the best spring snow goose hunting action. 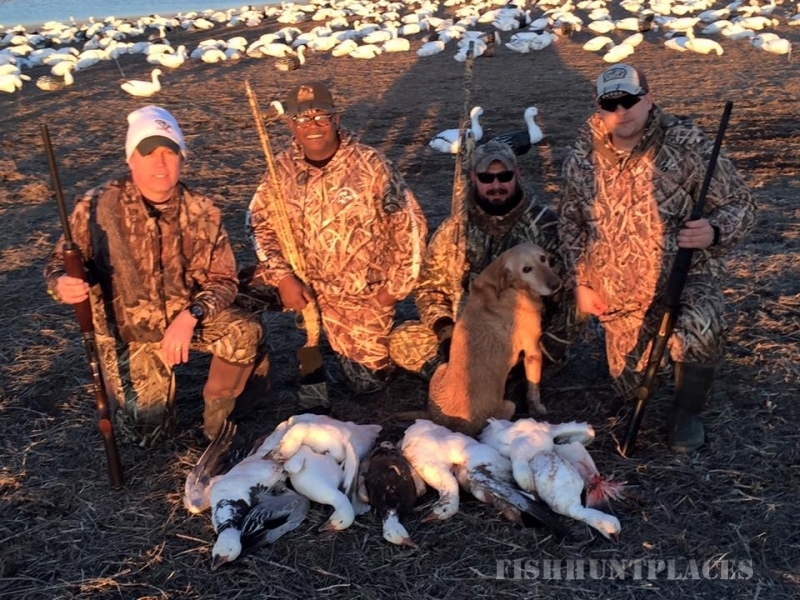 Vastly populated refuges result in quality hunts. With each refuge holding large numbers of the snow goose, it gives us more opportunities to shoot when the snow goose goes out to feed. 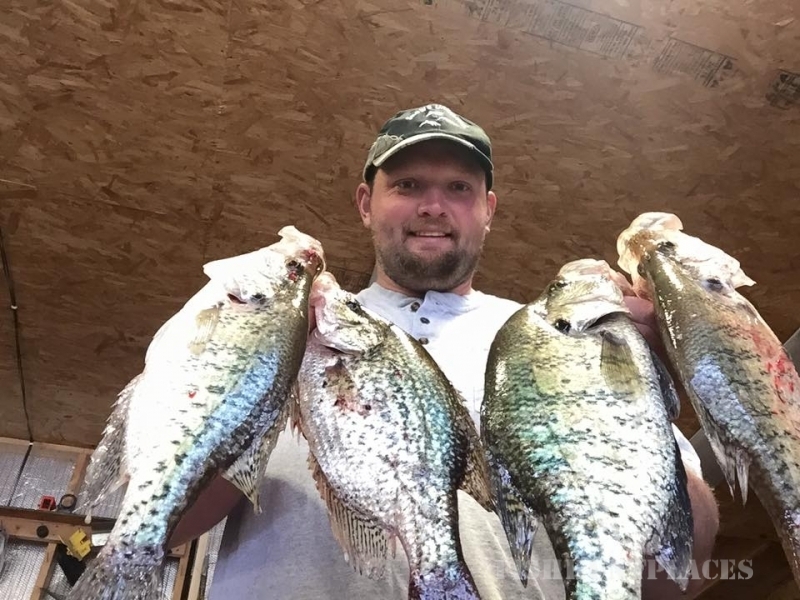 We have selected private fields where the Mississippi and Ohio Rivers meet and centering these government refuges. 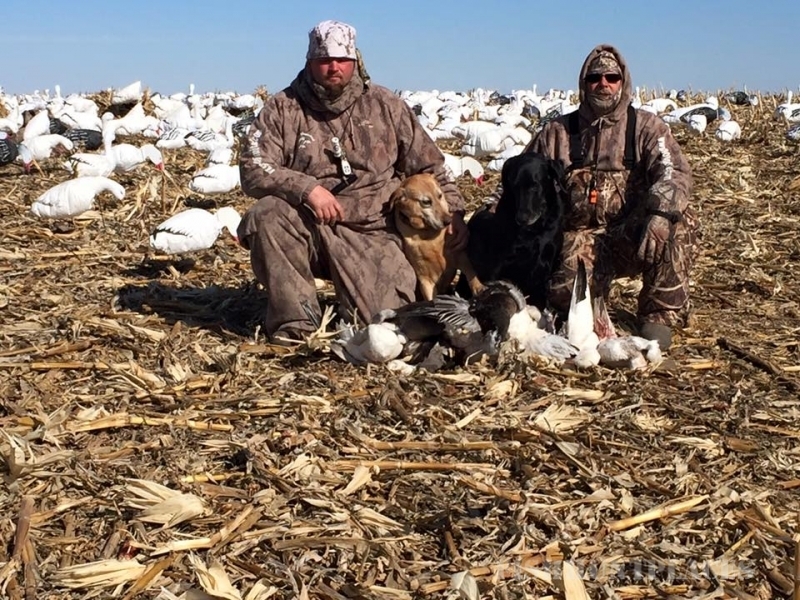 We hunt the snow goose in dry wheat and corn fields depending on crop rotation. I can’t forget our sweet honey hole a flooded corn field, which we put out 400 floaters and 2000 field decoys. We have put in large 27 feet dry in ground pits for comfort and enjoyment. When choosing our equipment we use our own decoys and custom wireless sound systems. Each field setup will be 1500-2000 snow goose decoys. 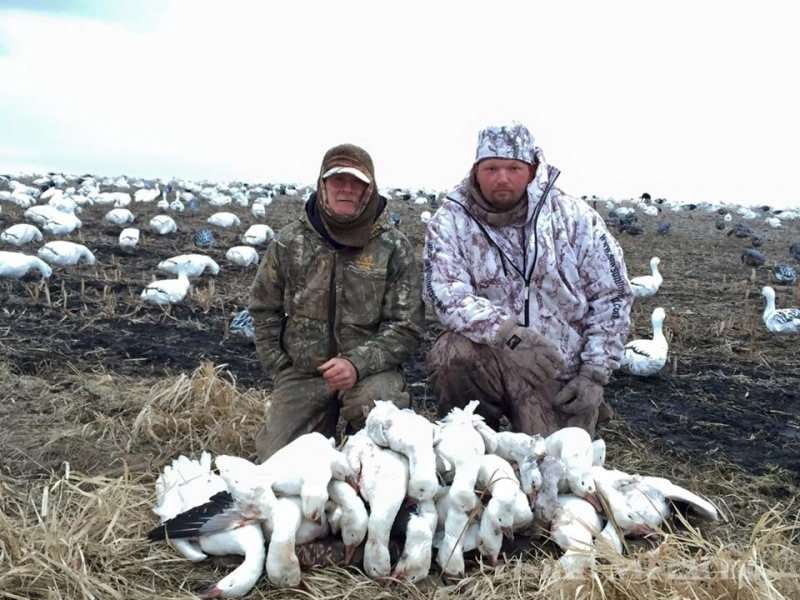 We use snow goose kites and other tricks to entice the snow goose. 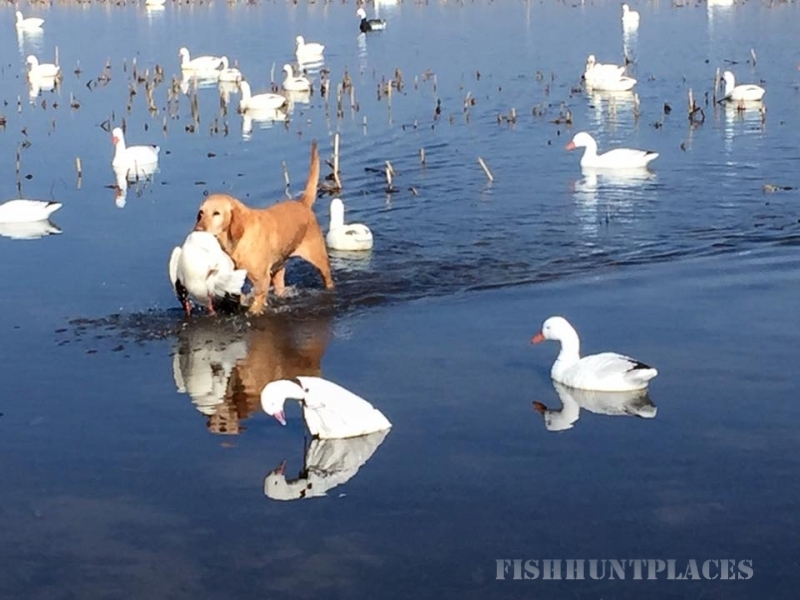 If you love waterfowl hunting you will love snow goose hunting. Spring snow goose hunting, WHAT A GREAT EXPERIENCE!!! !